Applications are invited for Post-doctoral research associate in the group of Dr Evangelos Tatsis at the Shanghai Institute for Plant Physiology and Ecology (SIPPE) to work in the general area of plant natural products biosynthesis. The newly established group of Dr Evangelos Tatsis is located in the Centre of Excellence for Plant & Microbial Science (CEPAMS) a collaboration between the Chinese Academy of Sciences (CAS) and the John Innes Centre (JIC). Plants are an inexhaustible pool of structurally diverse chemicals, which are traditionally known as natural products. Many of these compounds have been used as therapeutic agents since antiquity and have played a crucial role in improving the quality of life. The fundamental goal of our group is to determine how plants make these chemicals. Our major focus is to elucidate, understand and engineer the metabolic pathways which are responsible for the biosynthesis of natural products from Chinese medicinal plants. To address these important goals, we will establish a genome enabled approach, utilizing bioinformatics, molecular biology and enzymology techniques, and a plant based synthetic biology platform. We are seeking a research associate with a primary duty to organise and manage a highly dynamic and interdisciplinary international laboratory. The successful candidate should have strong attention to detail, excellent English and Chinese speaking, reading and writing skills. Good communication and interpersonal skills are essential to this role. The successful candidate is expected to contribute to writing, submitting grant applications, reports and have the ability to accurately translate documents from English into Chinese and vice versa. The postholder will work closely with the project leader Dr Evangelos Tatsis, as well as the post-docs and students within the group. The successful applicant is expected to interact with other scientific staff of SIPPE as well as with the administration and supporting services of SIPPE. Training and mentoring students, as well as assisting and advising other lab members are also essential to this role. The candidate will also work independently on his/her own projects. The specific research components will depend on the particular set of skills, experience and qualifications of the candidate. We are looking for an candidate who has a PhD in Biological Chemistry or in any other research discipline related to Natural Products Chemistry. A strong background in Chemistry and post-doctoral experience are essential. Expertise and skills in molecular biology, protein expression, enzymology and/or natural products biosynthesis are desirable but not essential. Flexibility, self-motivation, enthusiasm, dedication, teamwork, problem solving ability, excellent organization and record keeping, and scientific understanding of experimental procedures are essential requirements for this position. 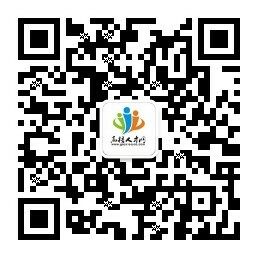 The successful applicant will need to have excellent knowledge of both Chinese and English languages. To Apply: Application in English only. Please send your CV with publication list, cover letter, a short research statement (1 page max) and two reference letters to etatsis@sippe.ac.cn. For further information, please contact with Dr. Evangelos Tatsis etatsis@sippe.ac.cn.